Casa Herrera is pleased to announce their schedule for the upcoming 2019 Tortilla, Flatbread, and Snack Food manufacturing trade shows. Please check below for updated booth information! Casa Herrera will be bringing a selection of the state-of-the-art tortilla, flatbread, snack food, and baking machinery to these events. Additional trade show information will be posted as the dates draw closer. 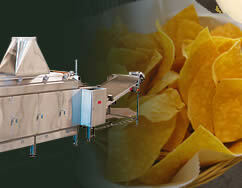 We are a premier manufacturer of snack food and flat bread machinery. Come visit our booth at any of these shows to find out how to customize our machinery for your company's needs. 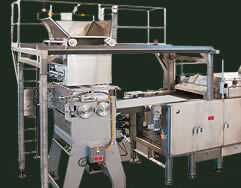 More Information: Bakery China Expo is one of the CBBE events, held in Shanghai annually. The event brings together the leading global bakery and confectionary professionals along with buyers to mix, mingle, and share the latest innovations and thinking on manufacturing & distribution, R&D, applications and related services for bakery industry. Casa Herrera is pleased to announce their schedule for the upcoming 2019 Tortilla, Flatbread, and Snack Food manufacturing trade shows. 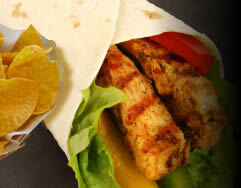 Please check below for updated booth information More.. The schedule for the 2015 Tortilla, Flatbread, and Snack Food manufacturing trade shows has been released. 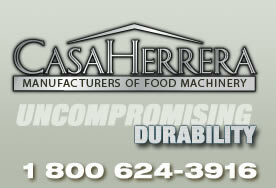 Casa Herrera will be bringing a selection of the state-of-the-art tortilla, flatbrea More..
Tue, 1st Oct 2013Casa Herrera will be showcasing technological advances in their Flour Tortilla Manufacturing lines at the 2013 Tortilla Industry Association (TIA) Technical Conference held at the Las Vegas Convention More..